MaxiGro™ and MaxiBloom™ are extremely potent, stand-alone, water-soluble, dry concentrate nutrients. Complete in primary, secondary and micronutrients, pH buffered MaxiGro™ and MaxiBloom™ will provide superior results when used with a wide variety of crops in both hydroponic and soil-based environments. MaxiBloom™ is for the reproductive stage in fast growing annuals. 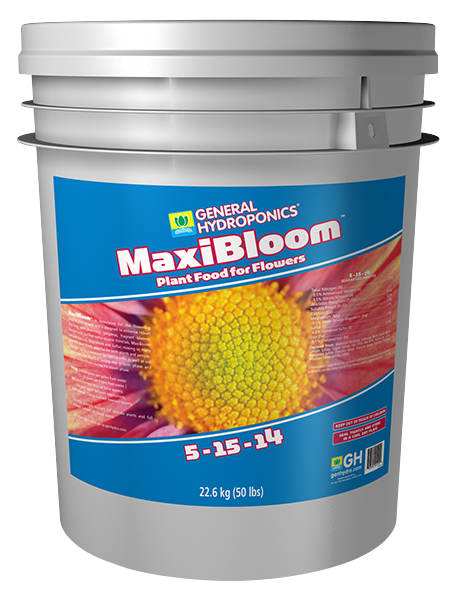 MaxiBloom™ encourages prolific flowering and fruiting and increases yields and crop quality.